Last week I posted about my favorite pineapple items and this week I'm back with some more summery goodness. 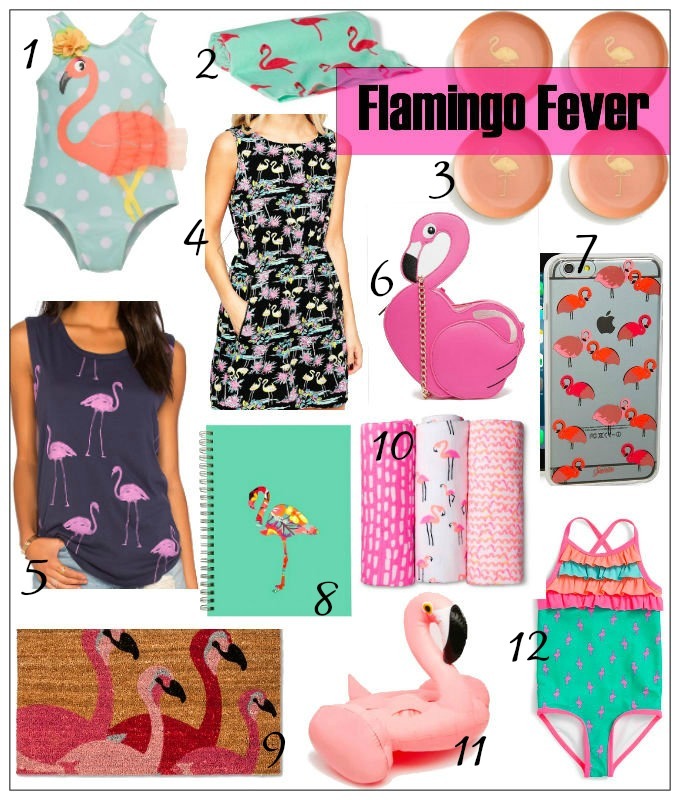 I absolutely love all things flamingo! I've found some really cute items that I'm so excited to share. #1 and #12 are the cutest bathing suits for little girls! These obviously aren't adult sizes but if I was a toddler I would totally rock these! The beach towel and the flamingo raft are perfect for a pool day. The raft is actually a floating drink holder. Love it! The blue tank would be perfect to throw on with jean shorts on a hot day and the dress looks so comfy. I love that it has pockets! I have never thought about decorating a little girl's room in flamingo prints but now I am all about it. I don't think my hubby would be on board though lol. How cute are these blankets?? I LOVE the rug to put by our front door! So summery!